Distribution: Southern Canada south to Texas, Missouri, Tennessee, Virginia. Description: A branching plant with red stems and milky sap. White or pale pink fragrant flowers and green bean-like seedpods in pairs. This plant resembles milkweed, especially when young, but milkweed does not branch and never gets red stems. Poisonous: Although the fiber is very fine, it should not be used for tiner bundles, as the smoke is toxic. Utilitarian Uses: The stems yeilds an excellent cordage material. It is quite strong and naturally rot resistant. I am told that native americans used this plant for fishnets and even bowstrings, such was its strength. Cordage can be produced from a green plant but cordage from a dead stalk in the fall and winter is superior. If left too long the fibers will decay and be unuseable by the following spring. Since this plant is toxic, be sure not to hold the cord end in your mouth when twisting it into fiber. Generally, the stalk fiber is easiest to collect below the first branch in the plant. 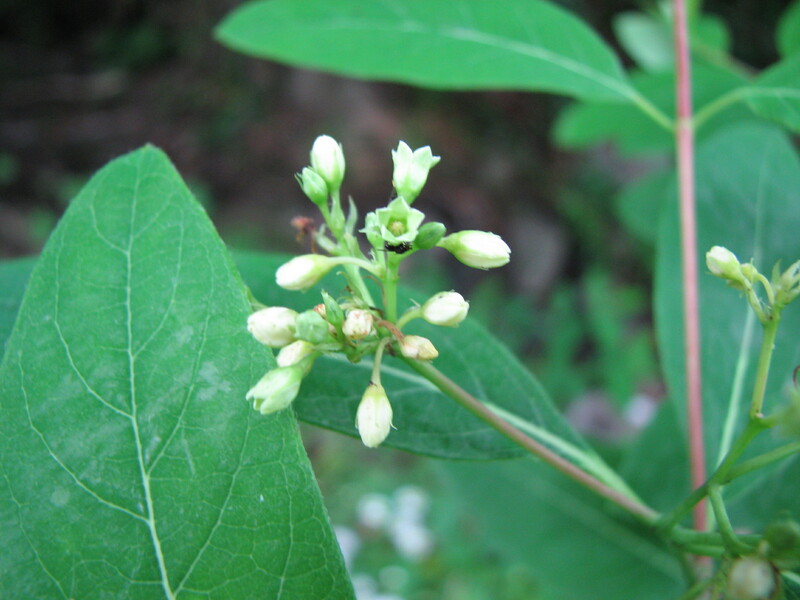 Since Dogbane usually grows in dense communities you can get plenty of fiber without having to try to harvest from the branching parts of the plant.